Our Facility has practice times & personal rental available. You can train in small groups, have private lessons or choose from one of the scheduled workshops. 3-2-1 Flying Dog Training & Event Center also is available to rent for Seminars, Workshops and Clinics. Special rates to training instructors who offer private lessons and are looking for a new location to add to their portfolo. 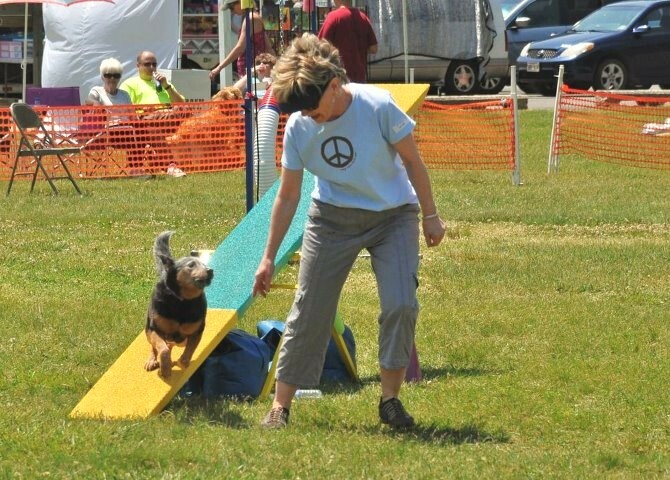 Email us for info on up coming group Obedience, Rally & Agility classes. Masters Handling - Master Planning Using Course Maps, Effective Planning Workshop With KATHLEEN OSWALD. Thanks To All That Came Out. We Had A Terrific Day. 4 Canine Conditioning Workshops With Lisa Bonker PhD CCFT FitPAWS Master Trainer - THANK YOU EVERYONE THESE WORKSHOPS ARE CLOSED. If you have questions for Lisa Bonker Click on tab and look for her info. 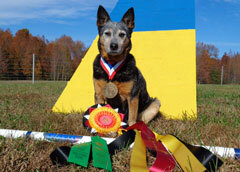 Professional Member of the Association of Professional Dog Trainers (APDT), a professional organization of dog trainers.